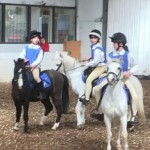 I am Abby Jones and I have been a member in Area 5 of the Pony Club for several years. 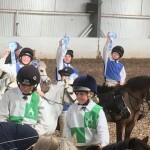 I started with my lead rein pony Magic who became a whizz at Mounted Games and have carried on through the years with many well-loved and known Pony Club Ponies representing branch and area in all disciplines. I have really enjoyed my time with Pony Club and owe a lot of where I am today, Eventing, to their support, guidance and training over the years. I was approached by “2Gallop” as a “Rising Star” and asked to write a small piece for them. Please feel free to ask me any questions either by email or contact and follow me and my team through Social Media. 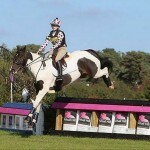 Hi, my name is Abby Jones and I am an 18-year-old event rider based in Cheshire. 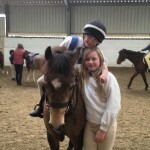 Horses are my passion and I’ve been riding for as long as I can remember, my first pony Magic being a little riding school pony, did everything from pony club gymkhana to county lead rein showing, she helped me find my feet with horses and taught me how to care for a horse and the basics of riding. 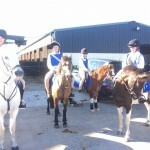 My life bringing on young horses came as a bit of a shock, when we set out to find a companion for my first pony, Magic. We ended up with a 6 months old colt, J20, who we then spent a long period of time backing and bringing him on, teaching him to jump and taking him out to local shows. After 4 years we sold him to a family of young children who wanted a safe pony, to do a bit of everything. My next young pony was a gorgeous Connemara called Robbie who was also brought straight over from Ireland as a 4-year-old. Like all my horses I spent a lot of time with him gaining a bond and working on him to become the perfect little working hunter pony, together we went all the way to being the Trailblazers Combined Training Reserve National Champions. I realised by doing all this, where my heart lies and that I loved the feeling of self-accomplishment and the partnership that can be built between a horse and rider. My current horse is King Champ who I have brought on from a green 4-year-old from Ireland to compete at BE100, with the hope of doing Novice by the end of this season. However, it hasn’t been without its ups and downs bringing on a young horse on a tight budget whilst taking on GCSE’s, A-levels, currently a full time job and University in the future, alongside injuries. But where there is a will there is always a way. 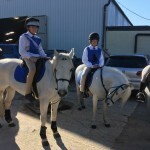 Together we have accomplished a lot over the last three years including, coming 5th at the Novice Pony Club Championships, 2nd at the Combined Training and in the team show jumping at the Riding Club Finals, 4 top 5 placing in BE, followed by competing at Blenheim in 2015. 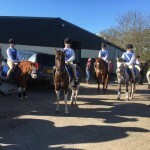 I highly value British Riding Clubs and The Pony Club for all the help and support they have given me over the years, with all my horses from subsidised training to representing them at a National level on many occasions, from dressage through to eventing. I would also like to take this opportunity to thank my parents for all their support so far in helping me accomplish my dreams, they’ve taught me to never give up and give it your all and keep pushing for what I want, if you want something and you are committed enough you will achieve, but don’t expect things to happen just by sitting back and watching. I very much feel with this sport like any sport, you get out what you put in. This year I hope to improve on me Personal Bests in B100 and move up to Novice. 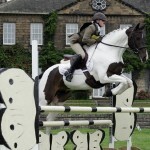 I also have my heart set to competing at Chatsworth in the BE100 Arena Eventing Challenge. Organisation is key, know what you want to achieve (don’t panic if it doesn’t go to plan as they are horses and we are human, neither are always perfect), especially when planning around school/work, don’t think it’s not possible because it is, I Have done it, it wasn’t easy but if you are motivated and you know that’s what you want then you can do it and I know I’m not the only one out there that has managed it. 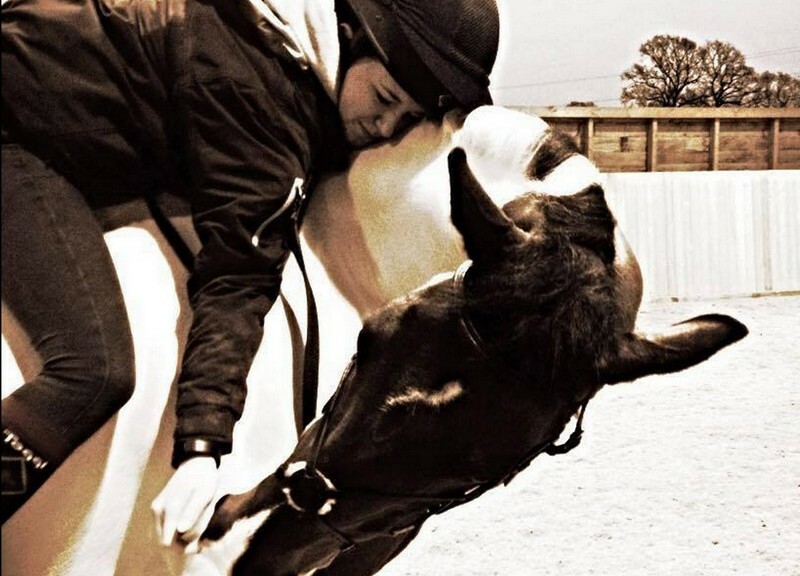 The bond between horse and owner is irreplaceable so don’t ever take it to granted, I have always felt it’s the most important part when owning a horse, because like humans they want love and care. 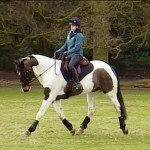 A bond is a trust; this is crucial in any discipline as the horse needs to trust you to do as you ask. Would you trust a stranger or would you rather your best friend/family? I’ve never compared myself to another rider, I idolize and take tips, advise and watch and learn, but never compare. Your goals and personal best may be completely different to theirs, they may have a different story to tell. But success is not about being better than someone else, it’s about being better than you used to be! 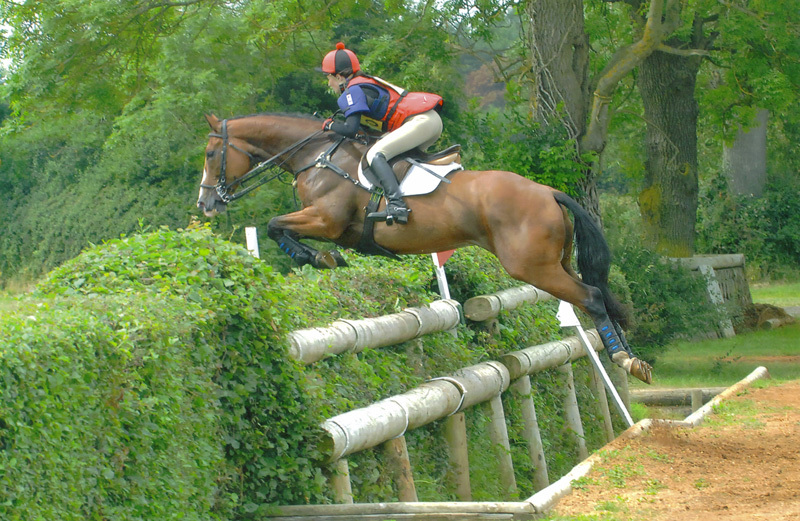 Flint and Denbigh member BRIER LEAHY has made it to the Final 3 in the Dodson and Horrell Bursary competition in the ‘Inspirational Rider’ category following her return to riding and competing after her devastating Eventing fall in 2013. Brier was a member of the winning Flint and Denbigh Open Event Team at the Championships in 2015. In 2016, on a different horse, she was a member of the winning Flint and Denbigh Open Show Jumping Team as well as the second placed Open Event team at the Championships in Cholmondeley coming 5th Individually. She is currently getting placings at BE Novice Eventing. 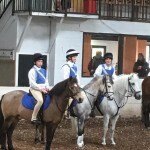 Brier wishes to pursue an Equestrian career and at present has three jobs to earn enough to pay for her hobby. She is a quiet (usually), modest, popular member of her Branch and is always willing to help out. The winner of each of four categories will be chosen by a public online vote on the Dodson and Horrell website and voting closes on Thursday 28th April – so not long left. PLEASE spend a few minutes of your time to vote for Brier using the link below. (copy and paste it into your browser). The following are the Area 5 or Wales and Borders Tetrathlon dates for the summer. It is also worth looking out for Area 4, 7, 9 and 10 events as some of those will be within reasonable travelling distance for some people. 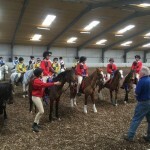 4 & 5 June Junior Regionals at Morton Morrell. By invitation to be part of the Wales and Borders Team. If you are interested and haven’t told Karen Barrow then do so now. 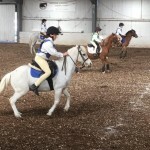 11 & 12 June Mini Regional Competition at Kelso. If you need more information then please ask me. If you are going then please let us know so we can support you. A super friendly event and an excellent introduction to the larger world of tetrathlon. Open to all of the younger competitors. 9 & 10 July Area Tetrathlon at Warwick. Classes for absolutely everyone, from pre-mini to wrinkly. With Areas 4 and 7. 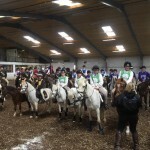 The qualifier for the championships for Junior, Intermediate and Open but also an excellent event in its own right. Stabling and camping available locally. 6 & 7 August Intermediate Regionals in North Yorkshire. By invitation to be part of the Wales and Borders Team. If you are interested then tell Karen Barrow now. 11 – 14 August Championships at Bishop Burton, Hull. For Juniors, Intermediate and Open who have qualified at the Area Competition. 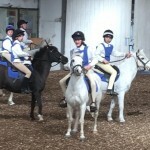 A truly amazing event with riders from all over the country and a full up, challenging course. 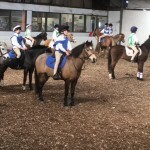 Stabling and camping provided on site. 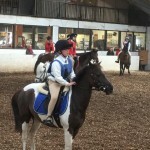 Information about many of these can be found on the Pony Club website – look for ‘Disciplines’ then select ‘Tetrathlon’.